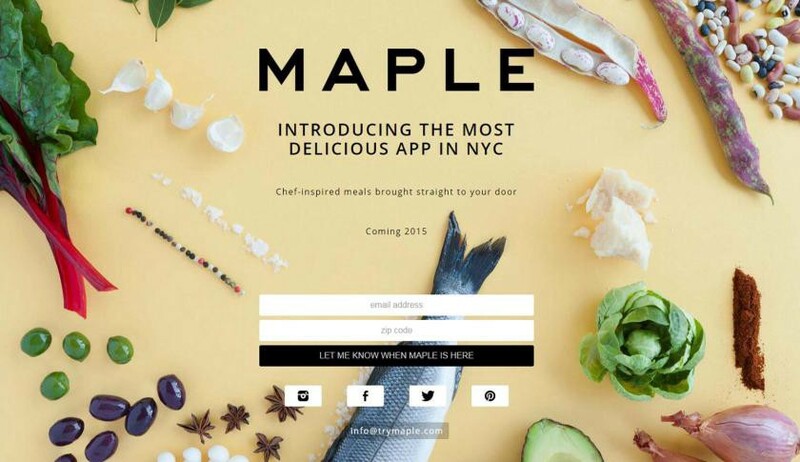 Maple: redefining fast food… to turn it into faster food! Maple, the New York restaurant co-owned by superchef David Chang, is redefining fast food standards, based on the core values of convenience and comfort, and making an extensive use of technology to focus on the essentials: the idea is to make fast food faster. What makes Maple really different is that it is simply an app. Not a location app or a platform, but a means to control every aspect of the business, from the kitchen to the delivery, and focused on maximizing throughput, the number of orders it is able to process while maintaining its preset quality parameters. Until now, the undisputed leader in this field has been Chipotle, where the unwary diner can be easily fazed by the rows of assistants waiting to dispatch 300 orders per hour, an order every 12 seconds. Not an easy task to navigate when you go there for the first time! Maple’s goal is to be three times faster than Chipotle, and dispatch at least 1,100 orders an hour. You order your food via the app, and it is then delivered by bicycle. There are no tables, no waiters, no cash registers, just a production line preparing pre-set menus that are cooked, plated up and sent out as quickly as possible. The whole thing is set up along optimum operational lines. Demand is estimated on machine learning based on estimates from the results of each dish, while the cooks use an app that tells them what to put in each bag, and the delivery team use an app that gives them the best route, wherever they are leaving from: they can return to any outlet, or pick up another delivery en route. The kitchens are not much bigger than a typical Chipotle outlet. But by eliminating all inefficient processes, those used by customers, and doing everything by app, the possibilities for improvement are huge: the customer decides everything via the app, adding or subtracting ingredients, as well as inputting all delivery details. Around 20 people work in an average space of some 280 square meters (compared to 230 square meters in Chipotle), along with around 50 bike messengers. To get an idea of how efficient Maple is, it needs around 40 outlets to cover Manhattan below Central Park, while Maple is able to do so through between five and seven stores. I haven’t seen a Maple case study at any business school yet, but it can only be a matter of time.